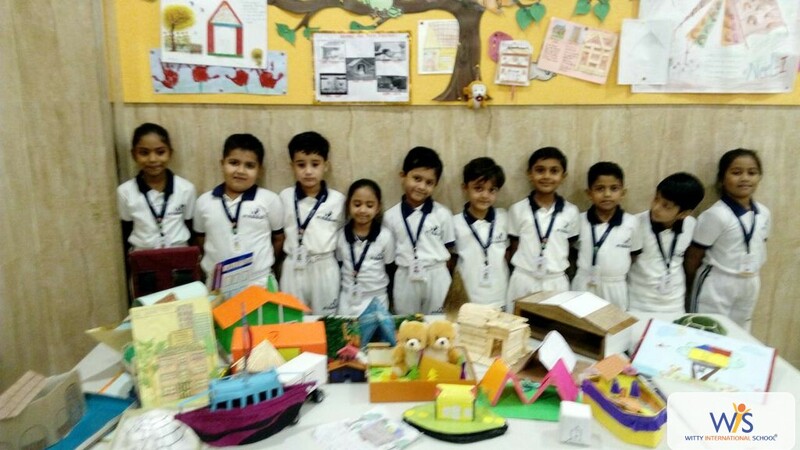 “To achieve great things, we must dream as well as act”. 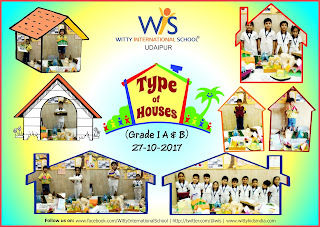 Spelling is important because it aids in reading. It helps to cement the connection that is shared between sounds and letters. Witty International School feels proud to share the results of Level 1 ‘Inter- School Spellbee International Competition’. 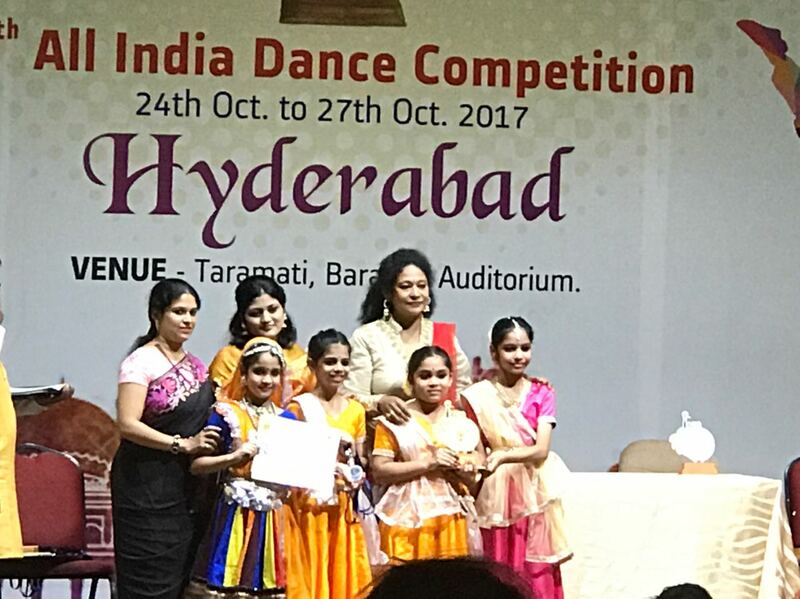 We heartily congratulate all the achievers who have shown outstanding performances. 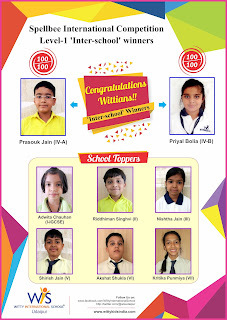 It is a matter of pride for us that total 146 students from Grade – I to IX are selected and are qualified to participate in the Level – 2 ‘Regional/ State Level’ Spellbee Competition’. 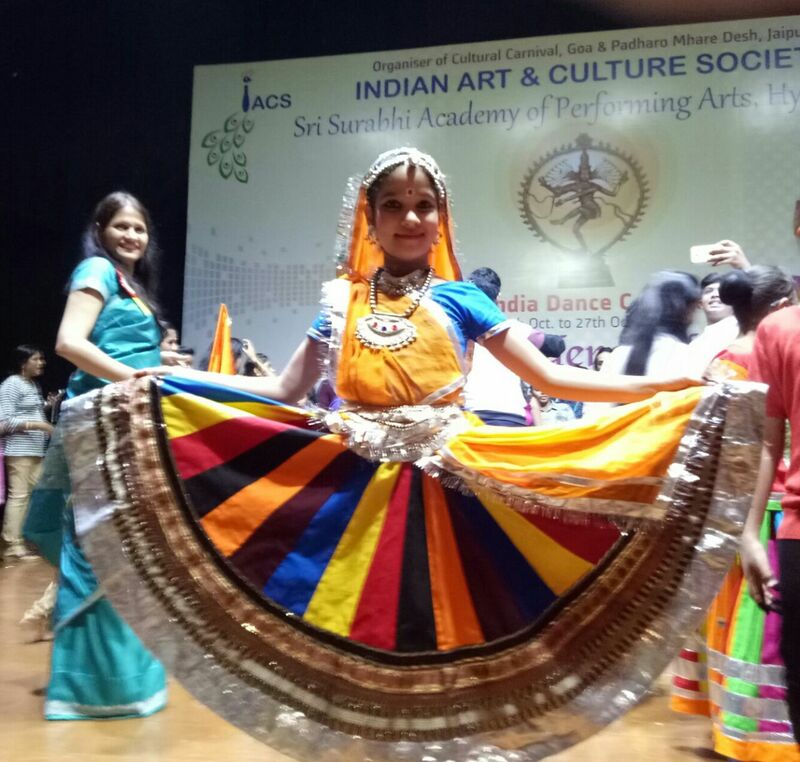 Prasouk Jain and Priyal Bolia of grade – IV have achieved interschool winner medal and a certificate of Accomplishment by securing a perfect 100 score. 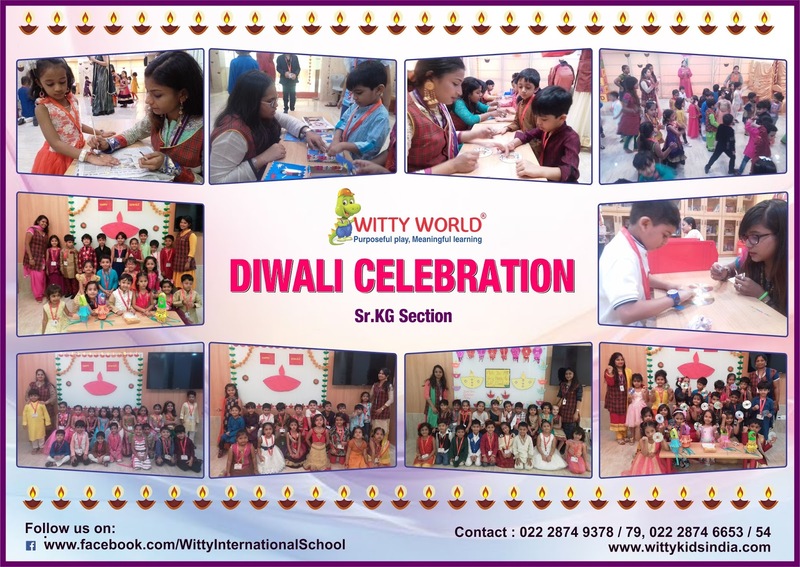 Six of the Wittians are also going to be awarded as school toppers with medals and certificates. Halloween is a celebration on the night of October 31st. It is more practiced in the United States and Canada. Children wear costumes and go to people’s home saying “Trick or Treat” to ask for candy and people give it to them. 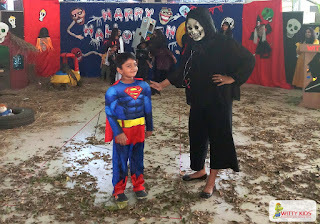 The suggestion: “Give me a treat or I will play a trick on you”. 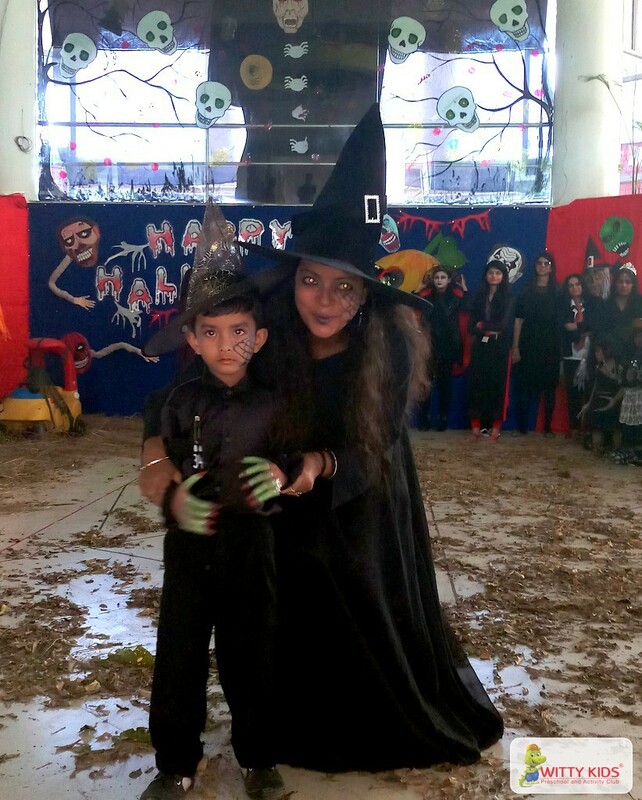 People mainly dress up as ghosts, witches or scary things for Halloween. 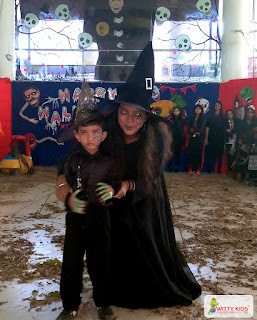 Shadows of a thousand years rise again unseen, voices and whispers in the trees, today is Halloween. 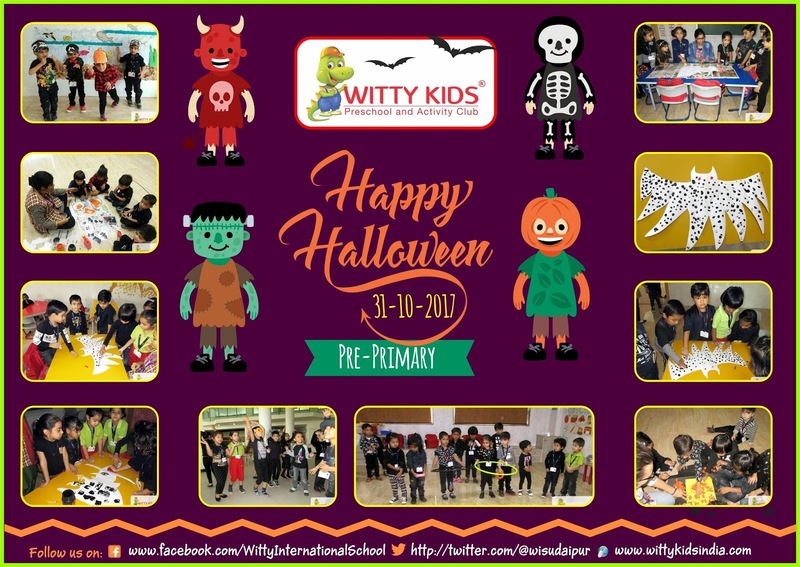 Little Wittians of Pre-Primary at Witty International School, Udaipur came dressed in black clothes to show off their scary looks. 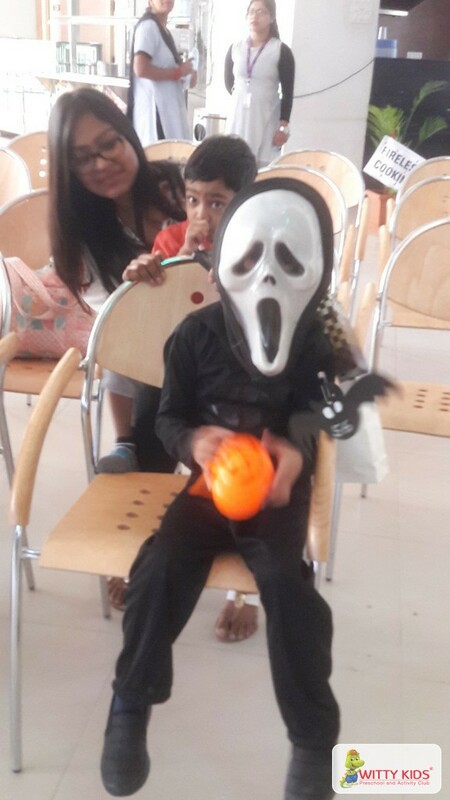 They were told about Halloween with the help of story slides. 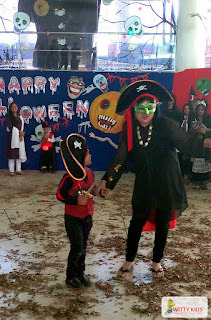 PG and Nursery class tried to stick paper on pumpkin. 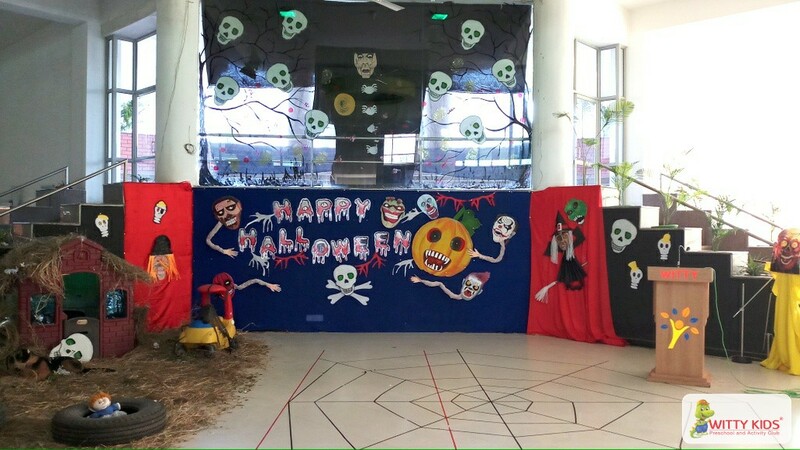 Jr. KG did finger dabbing on bat cutout. Sr.KG did group activity of block dabbing on a witch cutout. Little toddlers had fun dancing and playing games. 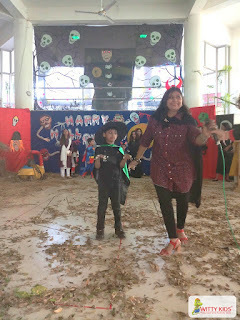 The haunting environment and the Halloween music filled the environment with monstrama which created an eerie atmosphere. 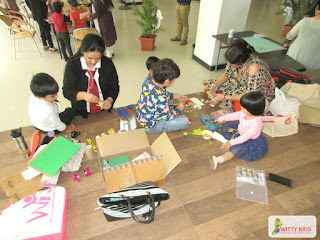 A field trip for the children of Playgroup was conducted on Thursday, i.e. 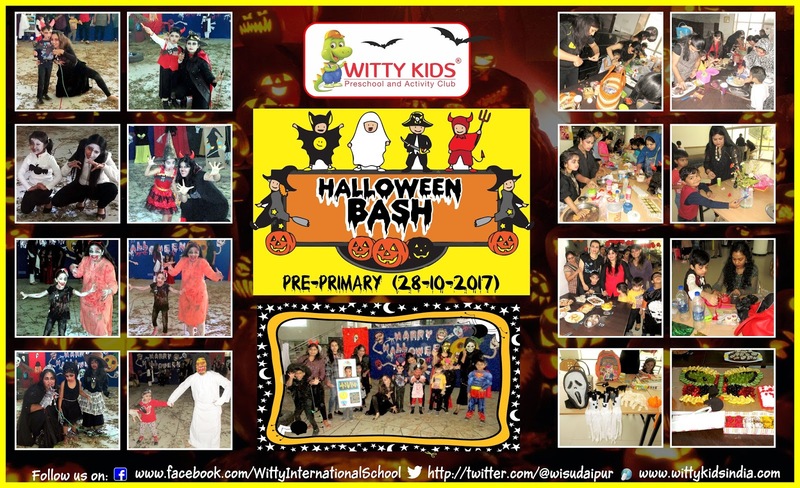 12th October 2017. 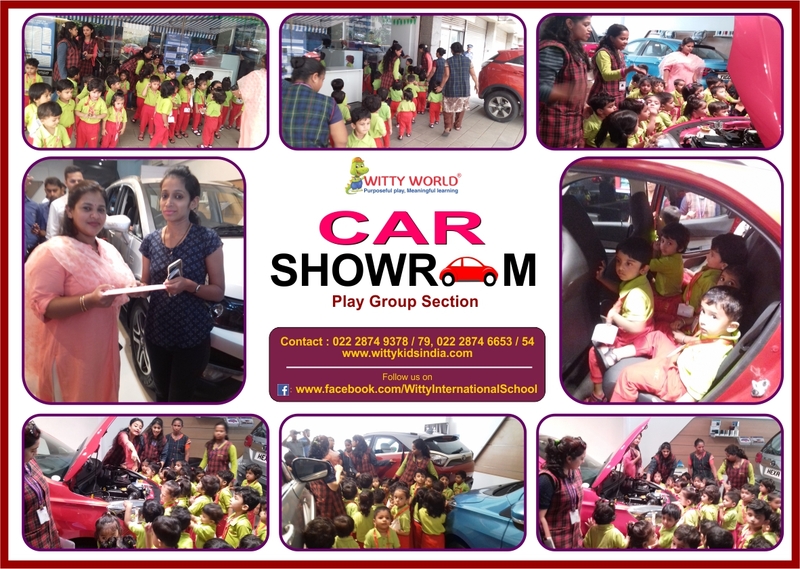 Children were taken to Tata Motors Car showroom located in Malad. 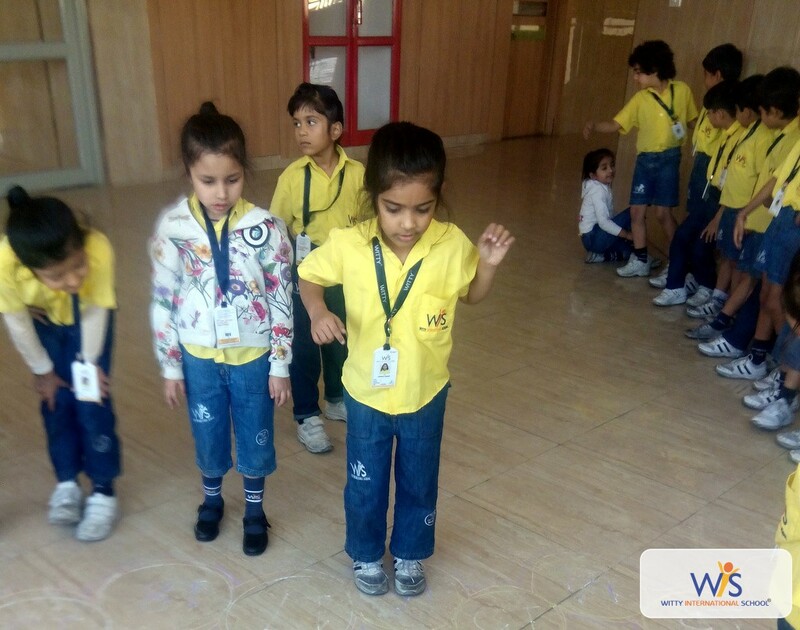 As is known to all, WIS always believes in"Discovery with Action". 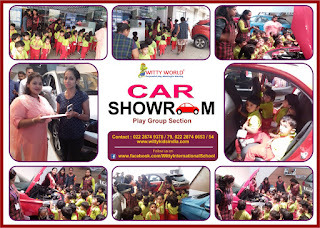 The staff of Tata Motors Car showroom warmly welcomed our children and made them comfortable.Practical learning has a very strong impact on children as the concept is imbibed within their minds. 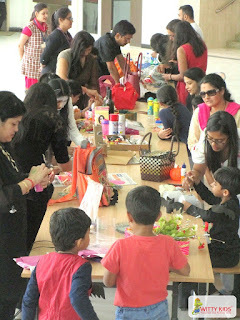 Children enjoyed the trip, and were very happy to see so many different color cars all under the same roof. 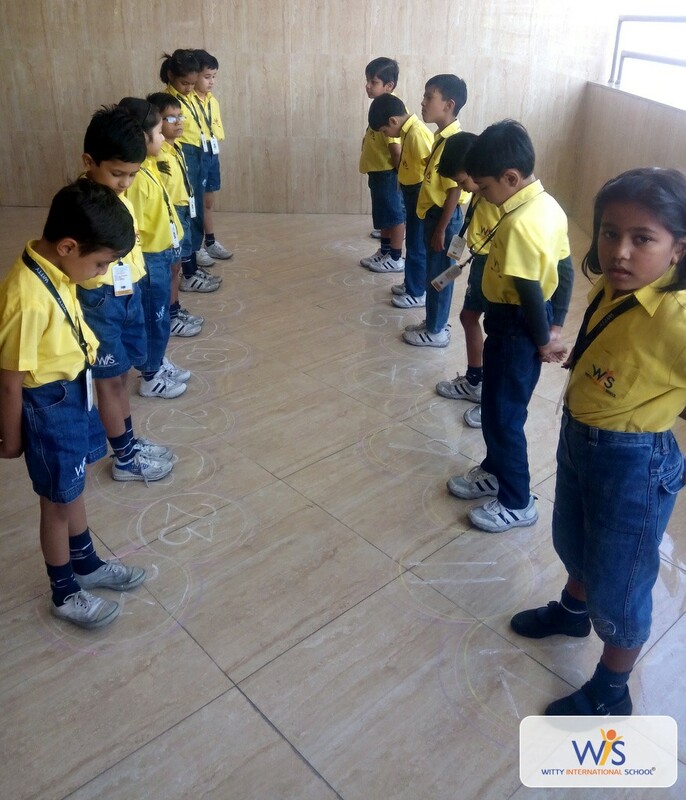 It was a complete hands on experience and an extension to classroom learning. 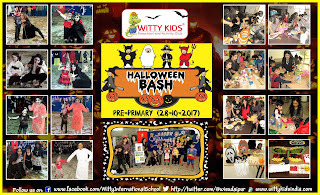 Wittian added another feather in a Cap!!! Hina Dawood of Grade-IV performed exceptionally outstanding in a Dance Competition organized by India Art and Culture Society (IASC) and Sri Surbhi Academy of performing Arts, Hyderabad. Hina participated in two different categories, classical Junior Group Dance Age (9-15 years) and Folk Solo Dance age group (9-15 years) and won Silver Medals in both the performances. 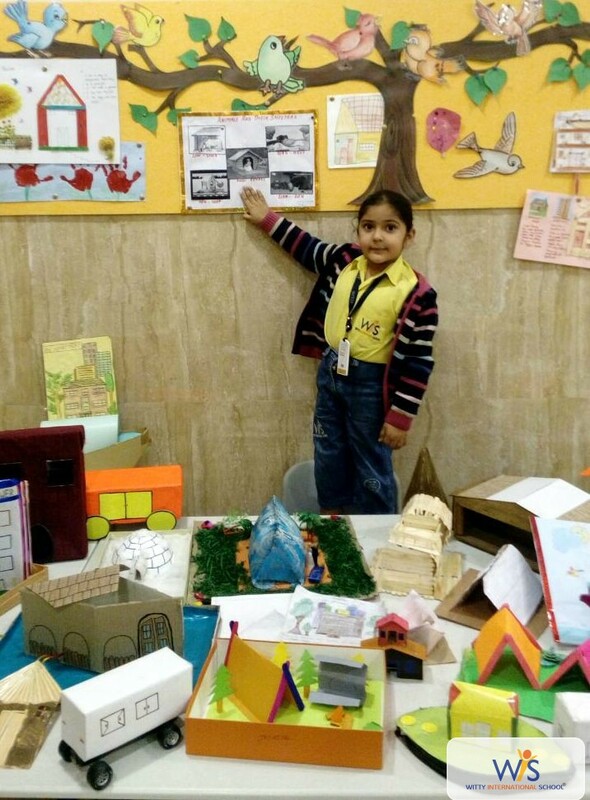 Hina has made her school and parents proud by giving her best. 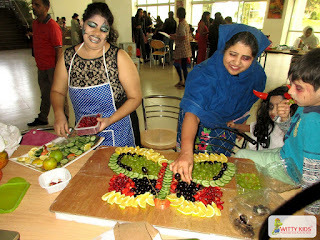 Her caliber and creativity is truly unmatched!! 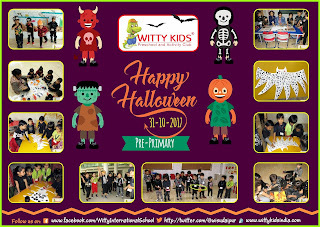 Apart from inculcating academic excellence, Witty International School, Udaipur empowers it’s pupils by providing conducive platform to exhibit their skill and talent. 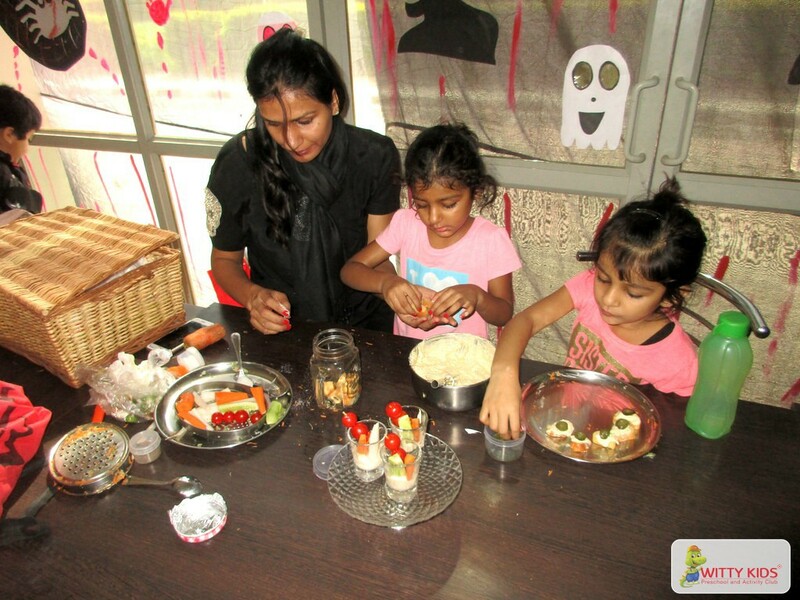 Prodigies of Witty participated in best out of waste and fireless cooking parent child activity based on the theme Halloween with great fun. 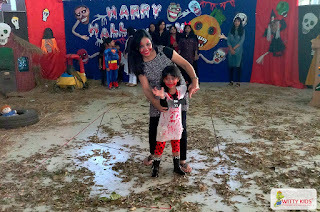 The activity hall was tastefully decorated with model of hanging ghosts, scary cutouts, spiders with it’s web, spooky characters and many more. 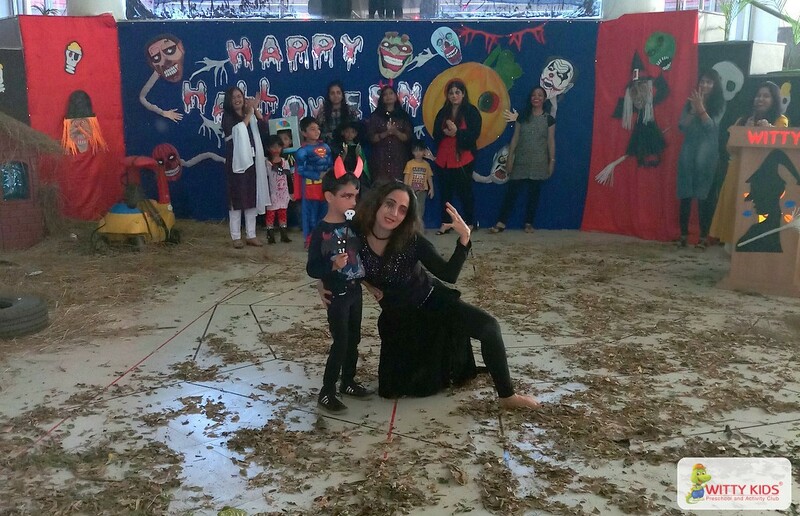 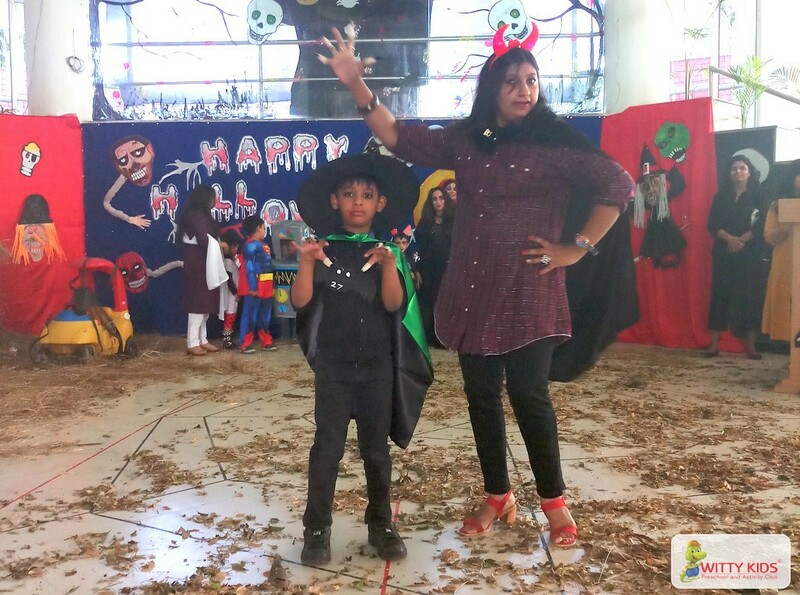 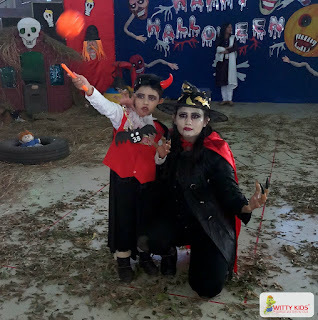 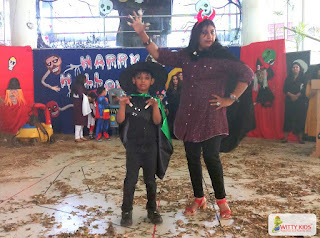 Little wittians along with their parents came dressed as different characters like vampires, zombies, witches, headless ghosts and many more and were prepared with their stuff for the parent child activity of Ramp walk, best out of waste and fireless cooking. 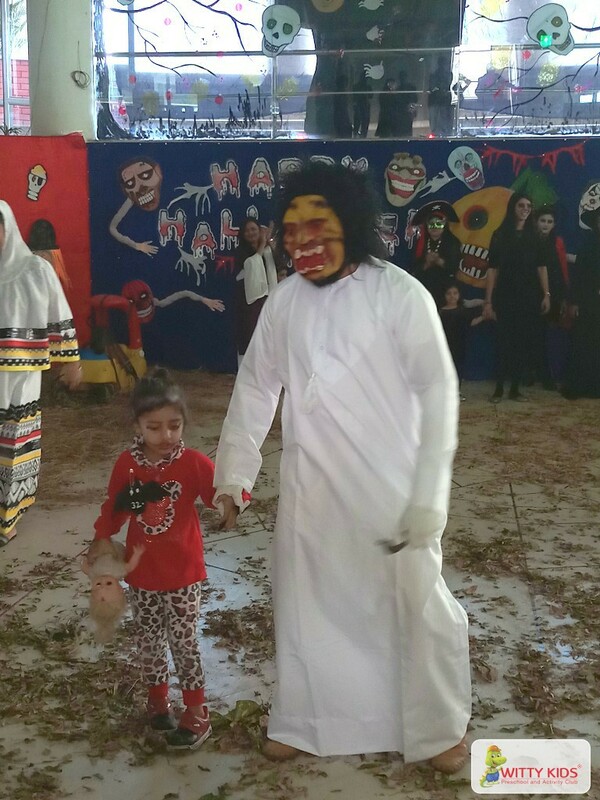 Parents and children enjoyed walking down the spooky ramp showing off their scary looks and costume. They also enthusiastically participated in best out of waste and fireless cooking activity wherein they made vase, pen holder, bat and many more things out of waste material and also made chocolate skeleton, cookie spider and web, fruit butterfly and many more in eatables. 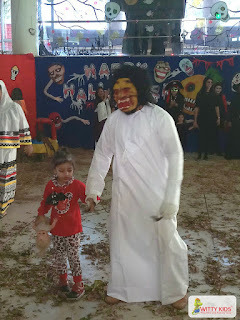 The haunting environment and the Halloween music filled the environment with monstrama, which created an eerie atmosphere. 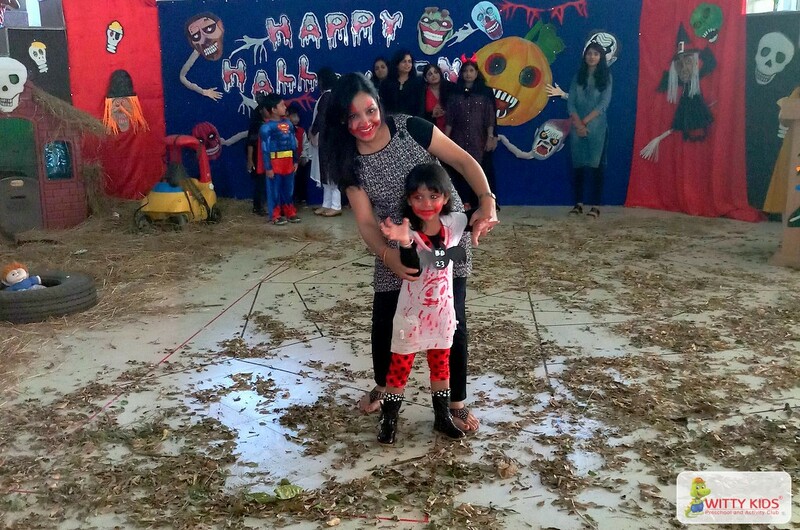 The event marked a scary yet fun filled weekend. 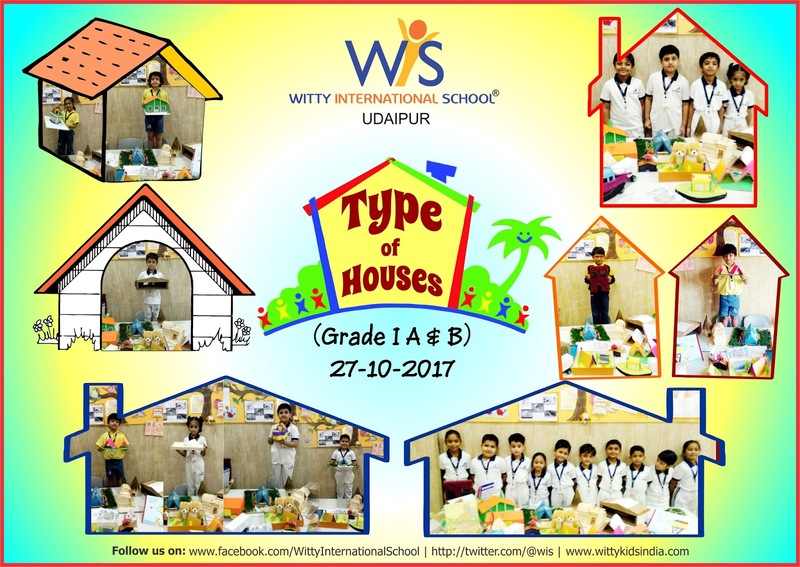 On October 27, 2017 Little Wittians of Grade- I (A and B) witnessed and participated in an activity based on the topic- Shelters. 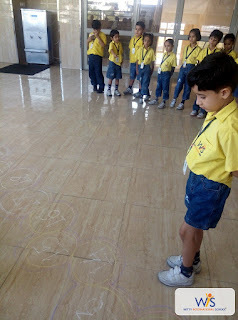 They made different types of houses and spoke few lines on the same. They described about different types of houses like- Three house, Boat house, Tent, Apartments, Carvan, Igloos, Huts etc. Students were appreciated for their creativity and efforts. 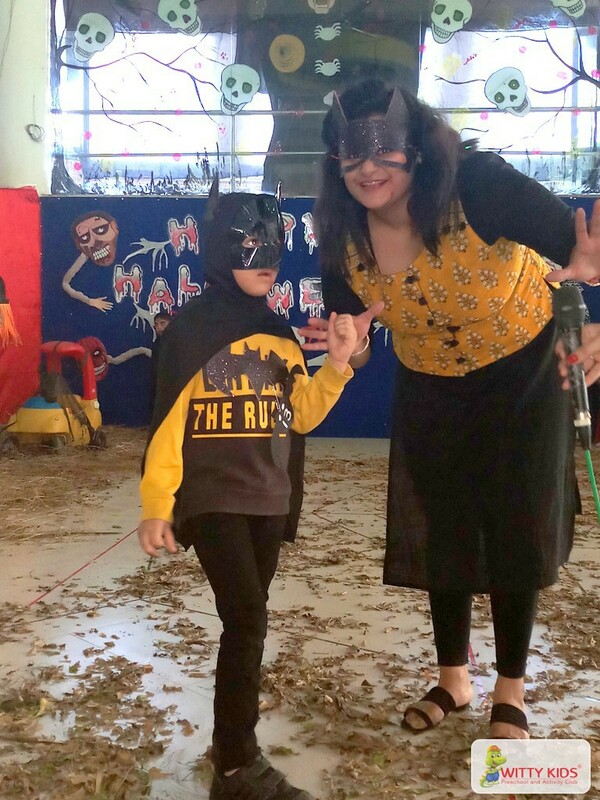 “Hard things are put in our way, not to stop us, but to call out our courage and strength”. 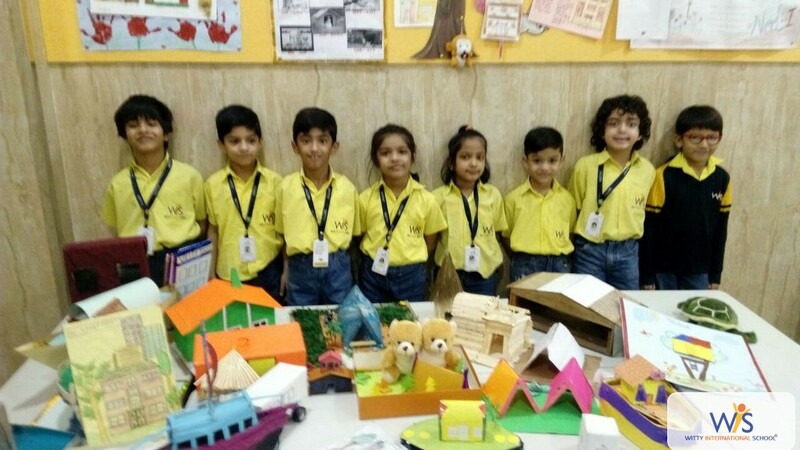 How well said and to prove this right, one of our shining star “Lekh Jain” has set an example for so many of us to pursue our dreams without losing hope. 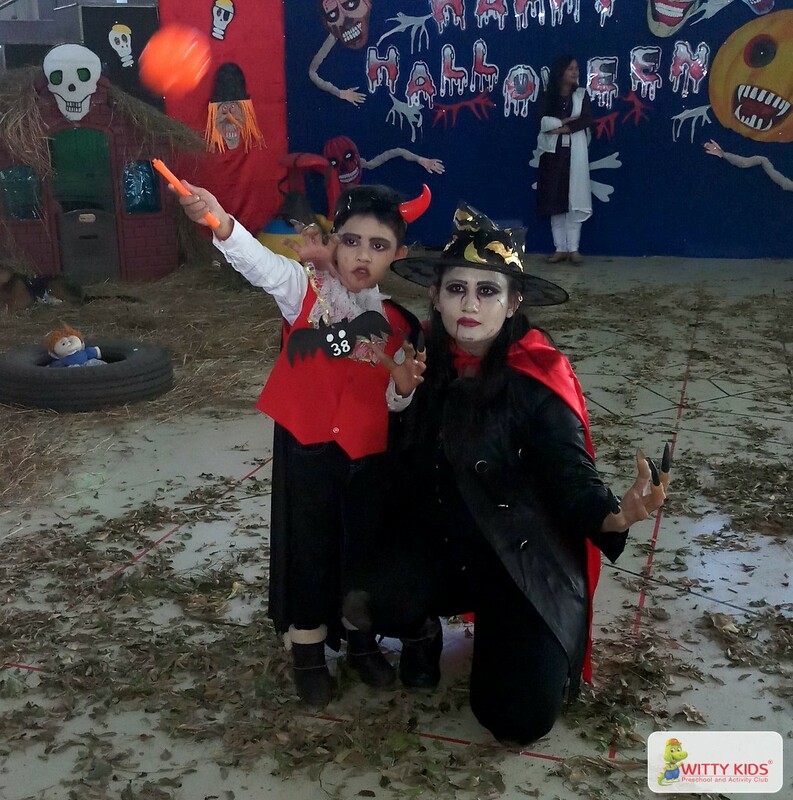 He participated in the swimming competition held at Jodhpur for Paralysed children. 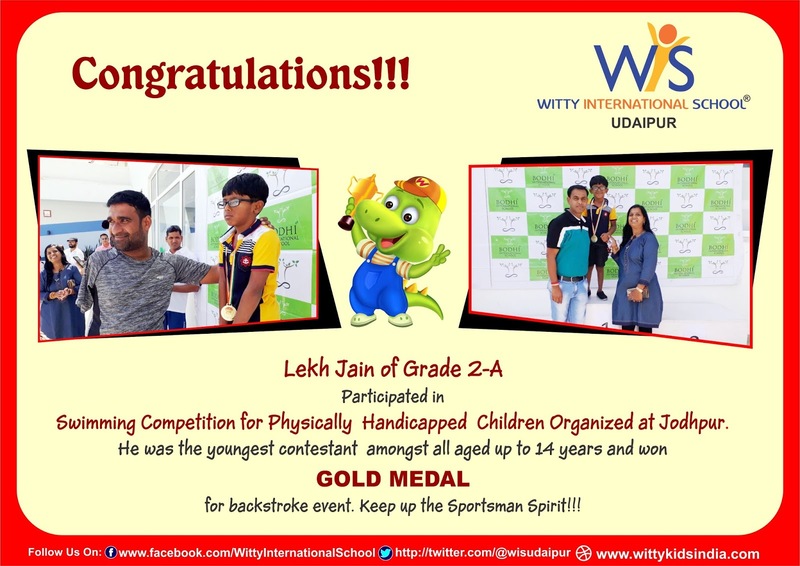 Lekh Jain was the youngest contestant to participate amongst all and capture the gold medal in Back Stroke Swimming Competition. 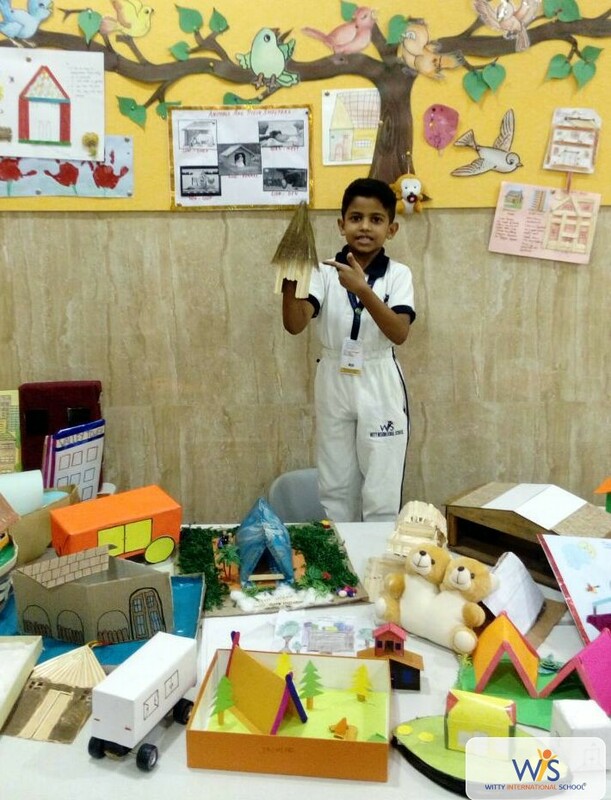 By winning this gold medal he has proved that “If you have a strong will power nothing can stop you”. 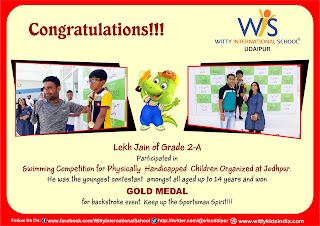 We wish Lekh Jain all the very best for his future and may he always climb the stepping stones to success. Let’s make learning early math fun and exciting!! Students were introduced to the concept of Skip Counting through fun filled educational caterpillar activity. 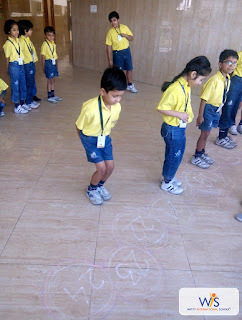 Kids skipped, marched and jumped on the count of two’s. 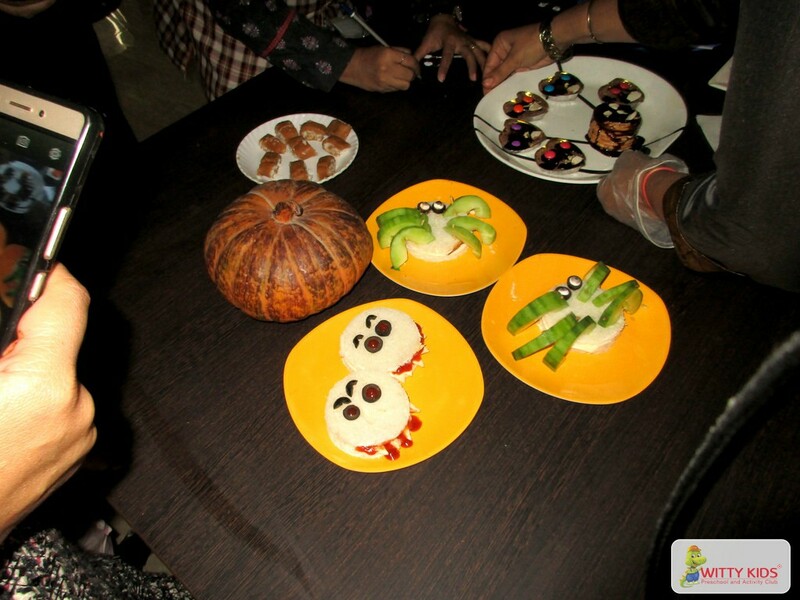 They enjoyed the fun filled activity along with learning the table of 2. Students of WIS, Atun Road, Bhilwara observed United Nations Day on Tuesday, October 24,2017. Students of Grade VII presented a special assembly on this day. 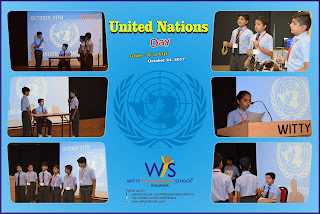 Through a skit students highlighted the work of the United Nations and its family of specialized agencies. 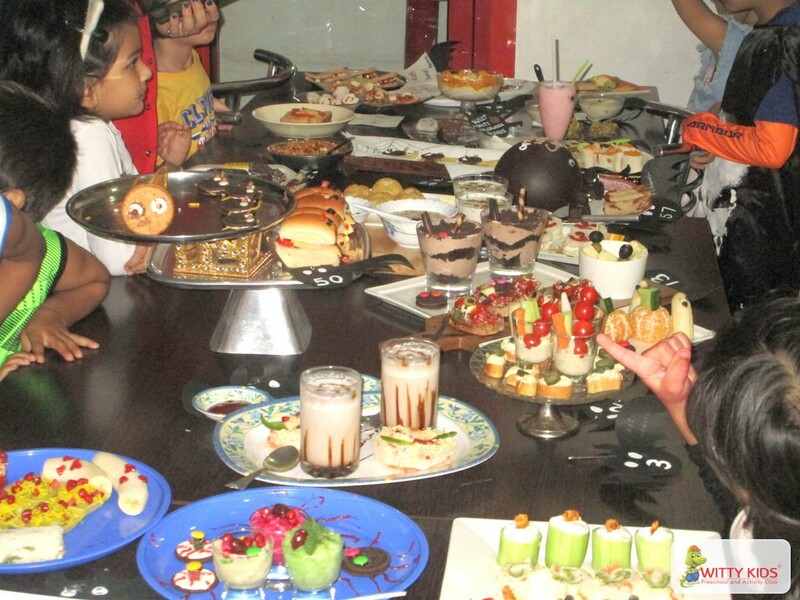 For the Gods whose gifts we all have to sought. 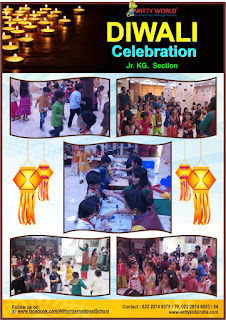 Diwali the 'festival of lights' The celebration "Victory of good over evil". 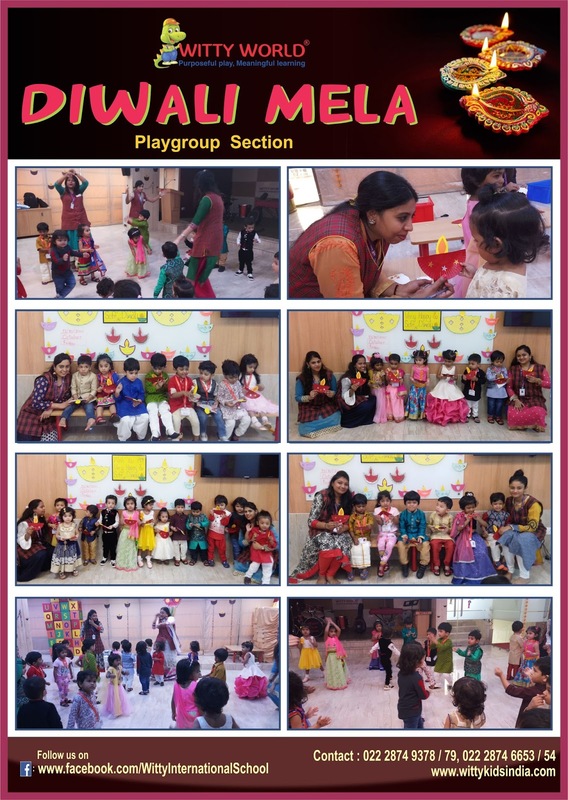 Our little Wittians of WITTY WORLD (Bangur Nagar) celebrated Diwali on Friday, 13th, October, 2017 with great fun and zeal. The kids came in colorful attire and brought sweets in their tiffins. The entire school was decorated to give a festive feel. 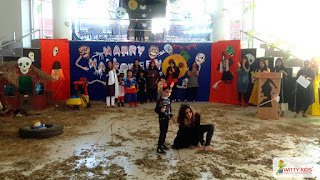 The school Auditorium was done up with lanterns, rangolis and torans. 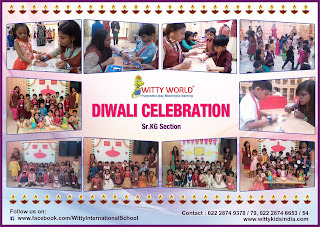 The trainees of Witty Institute of Teacher Training (WITT) at Witty World put up the ‘Diwali Mela’ in which children solved puzzles, got tattoos, danced to the music and did creative activities related to the festival. 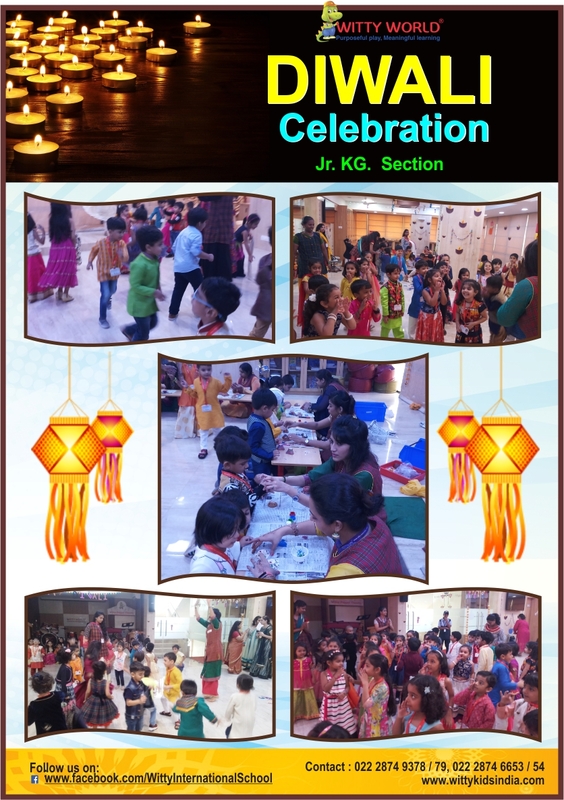 It was an enthralling experience for children. 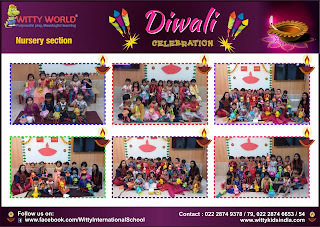 Here’s Wishing all our little one’s a happy and a safe Diwali!! One of the most prominent festivals in Hindu culture – Diwali is celebrated with much fanfare throughout various communities in the Indian diaspora. On October 13, 2017 the Children of Witty World, Bhilwara celebrated Diwali. 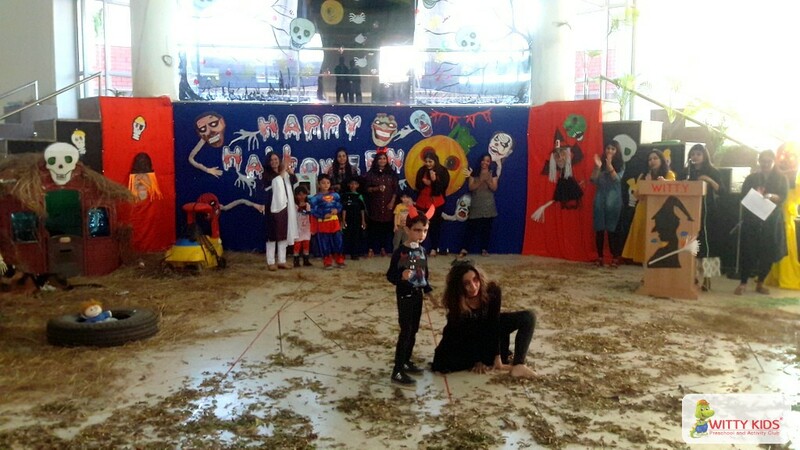 Children enjoyed the celebration by enthusiastically participating and presenting their performances. 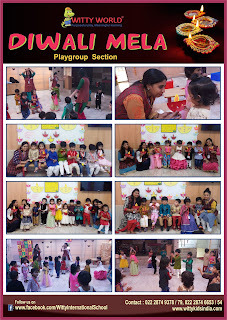 Teacher explained the reason why we celebrate Diwali.The Center Head Mrs. Kumud Vyas gave a message of playing a safe Diwali by saying 'No to Crackers' and enjoying the festival by decorating the houses with rangoli, earthen lamps, wearing new clothes, eating sweets and greeting friends and relatives.